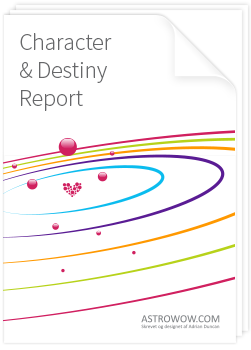 What makes astrology reports from WOW unique? Astrology readings available on the Internet are of course generated by a computer program which stores astrological interpretations, then works out the personal horoscope, and puts the interpretations into an astrology report, which often simply lists the astrological influences. 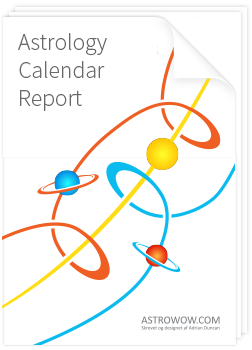 Astrology reports from AstroWOW endeavor to do something different. Even the free astrology mini-report, which you get when you register on this site, is intelligently generated by sifting through all the influences in your personal horoscope and choosing the strongest. We arrange the horoscope interpretation according to advanced astrology algorithms. 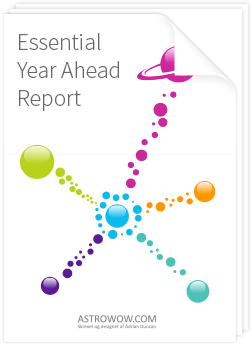 For example, even the first page of the Essential Year Report sorts through hundreds of transits and progressions to identify according to strength the three most dominating trends affecting your personal horoscope for a particular year. 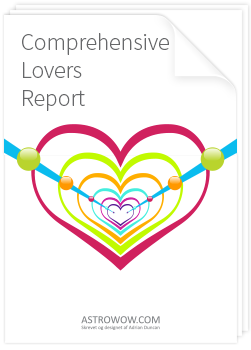 The astrology report for relationships (Comprehensive Lovers report) is an amazingly astrology reading, which assesses every combination between two horoscope, even identifying when two people have the same, interrelated aspect combinations. This means you get an astrology reading which is completely unique and very detailed. Learn more by reading a description of each astrology report below.